On March 19, 1717*, La Concorde was forced to return to the port of Mindin at the mouth of the river Loire. 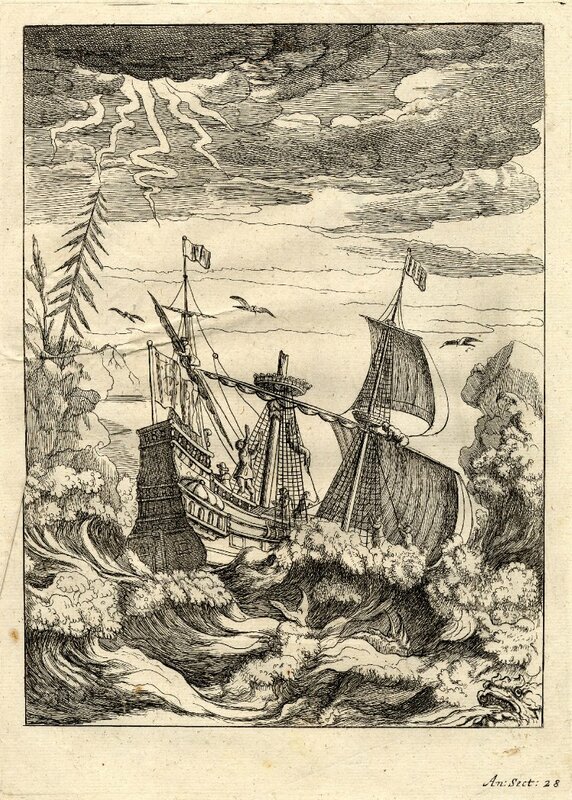 Bad weather from the start had driven the ship north along the French coast, and on March 17 they found themselves forced to moor at the island of Groix. The next morning, the winds were so strong that the crew had to let loose their anchor cable and abandon their 1500-pound anchor. The ship was tossed, hitting the sand banks as many as three times, but fortunately did not become grounded. From Groix, La Concorde sailed to the island of Hoëdic to wait out the storm. When the winds finally calmed, the crew entered Mindin at the mouth of the Loire to replace their lost anchor and resupply for their journey to the African coast. They remained several days before venturing out to sea. The experience of La Concorde’s crew was far from uncommon. The Bay of Biscay was a notoriously dangerous area to sail, and many slave voyages did not make it past the North Atlantic. Sailing in this region was ideal during the summer months, between May and October, and over half of French voyages in the 18th century left during these months. Despite the dangers, leaving during the winter months significantly shortened the trip to the African coast because the winds favored a more direct route. *The original French documents state the date as March 30. However, the French calendar in the 18th century differed from the English calendar by 11 days, and the date used here corresponds to the 18th century English calendar for consistency. -Stein, Robert Louis. The French Slave Trade in the Eighteenth Century: An Old Regime Business. Madison, Wisconsin: University of Wisconsin Press, 1979.